Precision-molded from high purity, DiHEMDA- and oleamide-free, virgin polypropylene. 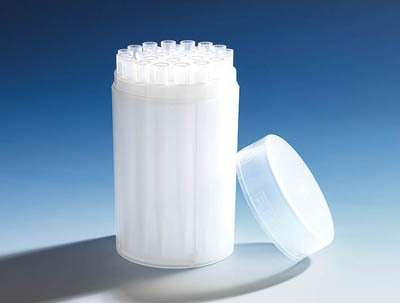 BrandTech™ BRAND™ Pipet Tips, 1 to 10mL are ideal for working with the microliter pipette Transferpette™ S 10mL. Compatible with Eppendorf™ systems. Manufactured in an environmentally friendly manner using only high-purity polypropylene, free from oleamide and diHEMDA. Clean, hydrophobic surfaces reduce sample retention, and increase accuracy and reproducibility. Ideal for working with the microliter pipet Transferpette™ S 10mL.